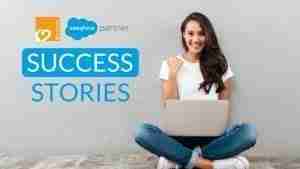 This blog series focuses on the stories behind some of K2 University’s Salesforce students, highlighting a bit about their background; what they were doing before taking the course, their thoughts about how the course went and their future career plans. 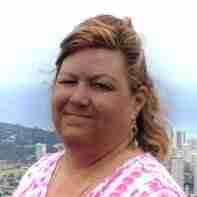 We sat down with Jeanne Moeller to chat about her experience with K2 University and everything Salesforce. How and why did you first get interested in Salesforce? I was considering a change of career and knew technology was a solid industry with continual growth. I had no desire to go back to school, neither the finances. I looked around for affordable courses that not only would be interesting but valuable to my career. Somehow I stumbled across Salesforce, which led me to Trailhead (Salesforce’s interactive online training) and after an evaluation, I signed up and completed my first course. I loved the format, found the courses easy to navigate and best of all it was free! Why did you decide to take a Salesforce course with K2 University? Trailhead is a great way to learn Salesforce and all it has to offer, but for me personally, I needed a course that would help connect the dots. A course where I could ask questions and have a live discussion with someone. Salesforce courses were too expensive, so I searched for another way to get the same experience but at a lesser cost. I found K2 University and after speaking with Elisabeth Kindeland, K2 University Advisor, decided to take the course. I like their online format, the classes are small and personable and they have a wonderful K2 University Alumni community. Knowing I had their support even after the class ended was really helpful! Which K2 University course did you take and how did it go? I took the Salesforce Administrative Essentials for New Admins (ADM201) 5-day virtual course, and it was everything I expected. The course outline, materials provided and instructor were great! I still use my course materials as a reference once in a while. How has taking the course changed/influenced your career? I passed my Admin certification a month after completing the course – it was exactly what I needed to see the big picture. Two months after passing my certification I was hired as a Salesforce Training and Support Specialist with no prior IT experience! What advice do you have for new Trailblazers that are aspiring to start a career in Salesforce? Find what works for you – there are multiple websites that have information about Salesforce which can be overwhelming. I recommend starting with Trailhead to see if you like Salesforce, and then use the modules and trails to learn about the different features and functions. Don’t compare your progress to anyone else – this is your journey! Join Salesforce Communities, attend events, talk to people, ask for help and don’t give up! There is something for everyone in the Salesforce ecosystem.